In When the Stars Come Out, can two people open up enough to give them both a chance at having real and lasting love? Cottonbloom. A beautiful, faraway place where a woman can escape her past―and find reason to stay forever. Willa Brown never planned to stay in Cottonbloom. She was on the way to somewhere else when she landed there and found work at the Abbot brothers’ garage. . .and a sense of comfort and safety that she had never known. The same holds true for Jackson Abbott himself. With one glance in her direction, he can make Willa’s heart melt. But what begins as an unrequited crush turns into something far more powerful than Willa could have ever imagined. Jackson’s most meaningful relationship has always been with his car―and he’s not afraid to admit it. Still, he can’t help but become emotionally entangled with his new star mechanic Willa, who is definitely hiding some dark secrets of her own beneath the hood. Jackson desperately wants Willa to trust him, and to seek protection in his arms. But even as the two slowly surrender to their shared attraction, the danger lurking in Willa’s past remains a stubborn obstacle. Can she open up enough to give them both a chance at having real and lasting love? I fell in love with this beautiful romance between two people who seem like the complete opposite! Willa is a young woman who has had a troubled past and carries so much blame and pain in her heart. She carries the weight of the actions of others on her shoulders as her own blame and this has affected her life greatly. She has constantly been on the run but had finally settled (somewhat) in Cottonbloom. She has faced poverty, stereotypes and more in her young years and you just want her to have a little bit of happiness, even though she does not feel that she deserves it. Jackson is that typical workaholic. He loves his family business and his cars. He is not very good at showing emotions or even realizing love when it comes knocking! When he realizes his feelings for Willa, he tries hard to show her but he can be awkward at times in his affection. I felt so bad for him at times! These are two people who deserve love and happiness but both are so unaccustomed to it that they have a difficult time trusting and accepting this love and affection. They leave you shaking your head at times, laughing at others but at all times hoping for a bright future for them. 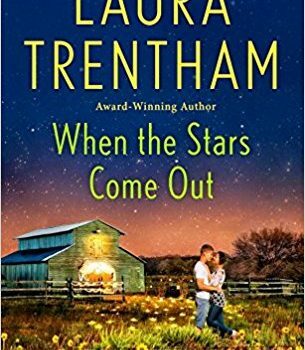 When the Stars Come Out is a beautiful romance about hope, faith and forgiveness. I loved every moment. 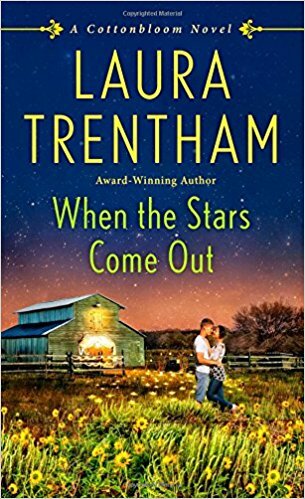 An award-winning author, Laura Trentham was born and raised in a small town in Tennessee. Although, she loved English and reading in high school, she was convinced an English degree equated to starvation. She chose the next most logical major―Chemical Engineering―and worked in a hard hat and steel toed boots for several years.